The tag 'straight-to-video' is not the deterrent it used to be, in-fact it's become more of an attention grabber for most as it's where most of the original and creative films are to be found. Step forward "Satan's Little Helper"
I still remember the first time I watched this film, I'd bought it for £1 at a pound-shop (English equivalent of a dollar store) so I wasn't really expecting much, I liked the cover and figured I'd take a chance. 96 minutes later I realised I'd scored a huge bargain. When you purchase a film for next to nothing you're expectations aren't exactly sky high and that's the best way to view this film, with no expectations and an open mind. The acting isn't the greatest but what it lacks in on screen talent is made up for with very dark humour which will have you laughing through-out, well this is a comedy/horror so that's it's job. Like I said the acting isn't the greatest but my favourite is the mute character 'Satan' his characteristics are greatly played out even though he's wearing a mask, sort of like a comedic Michael Myers. The film does lack in scares and gore (apart from a couple of scenes) but it does plant the seed of the "who's behind the mask? ", not just for the character of ''Satan" but anyone in you may encounter in a costume, it mainly focuses on the dark humour aspect. It also has some great subtle undertones, such as our lead child character "Dougie" who whilst being obsessed with a video game has a hard time separating reality and fantasy. Before this film was made writer/director Jeff Lieberman had not done any film work for many years, He seems to do a film and then disappear for years. Just look at his history - "Squirm (1976), Blue Sunshine (1978), Just Before Dawn (1981), Remote Control (1988), Satan's Little Helper (2004). 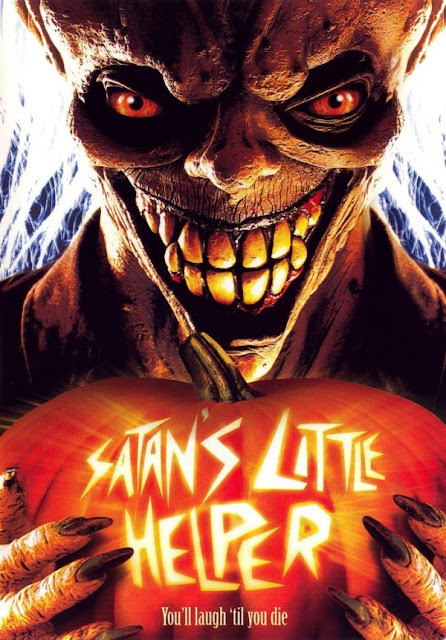 I suppose you could count Lieberman as a cult director, I just wish he'd do more though because he definitely has talent but since "Satan's Little Helper" was his last film to be made and now being 65 years old there's a-lot of doubt for a future release, I hope I'm wrong. Yes this film is pure cheese but you know what, it's a whole lot of fun! 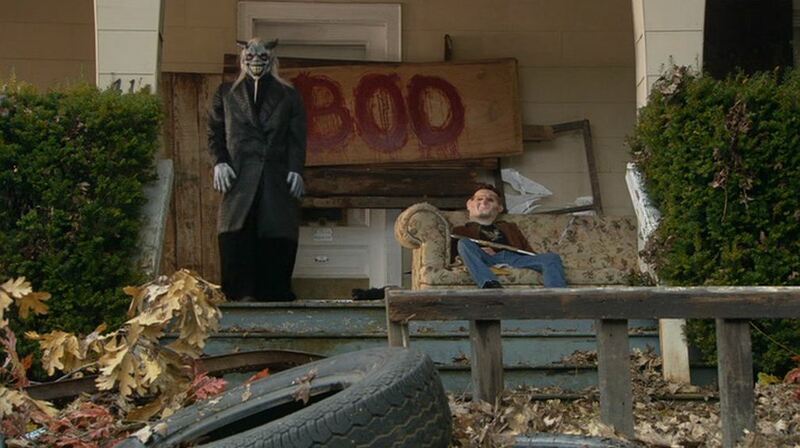 It's great entertainment and I film I like to re-watch often, it's also a great film to watch on Halloween. Also, just look at that mask!